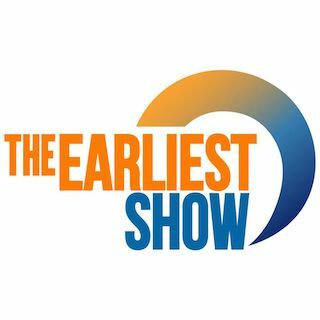 The Earliest Show is a 10 minute scripted comedy television series, which kicked off on October 27, 2016, on Funny or Die and is broadcast every Tuesday at . The show is currently in its 1st season. Funny or Die is yet to announce the renewal of The Earliest Show for Season 2 as well as its cancelation. Sign up to track down the show's status and its release date. "It follows a really happy, two co-host [format], almost like an early show," Ben Schwartz told us about The Earliest Show, a new sketch series on Funny or Die, the first episode of which premieres Thursday, October 27th. "We're doing this show that takes place late late at night or early early in the morningthose wee hours".